PR-Evolution Dance Company is a Hungarian contemporary dance company founded in 2003 with the aim of portraying our daily visions, moods and feelings through the play of the human body, the beauty of dance and the expressiveness of movements. Relying heavily on wit and playful, ingenious creativity, a liberated and liberating spirit of unbridled, almost adolescent energy is the hallmark of the pieces created by the company The Symptoms. 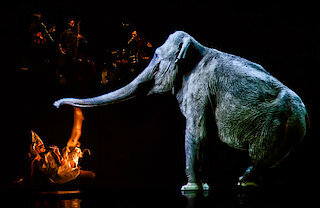 The Feledi Project combines classical ballet and modern dance in a unique way while choosing unusual themes for their choreographies. TranzDanz, founded in 1987 in Budapest by Gerzson Péter Kovács, is drawing on the legacy of the Hungarian folk dance movement while gradually departing from its stylistic strictures to formulate its own contemporary philosophy and style of dance. 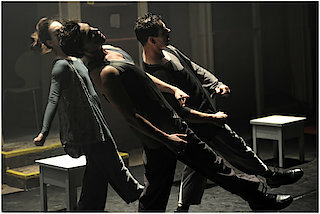 In the last two decades dancer and choreographer Pál Frenák created a unique, impulsive dance language informed by expressivity, sign language and an integrated use of physical movements. SÍN Culture Centre is a Budapest-based production house supporting the creations and professional development of emerging and mid-career dance artists with space, production management, fund raising, internationalisation of work and advice on career development. Máté Mészáros will offer an insight into his second creation with SÍN, which is to be premiered at Trafó, Budapest, in 2017. 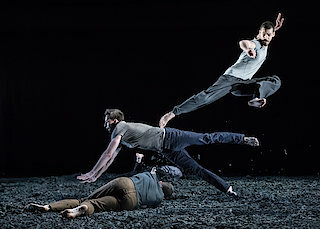 Szeged Contemporary Dance Company’s trademark is their facility to adopt and customise contemporary and modern dance techniques. They combine elements of many different performance styles to create an exceptionally colourful repertoire.